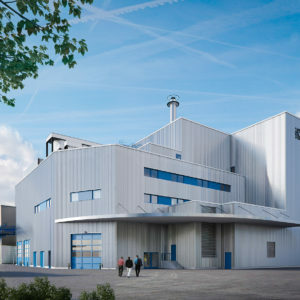 Saxlund International GmbH has won an order from Outotec GmbH for the delivery of sludge handling equipment to the Waste-to-Energy solution at ERZ Entsorgung + Recycling Zürich’s new sludge incineration plant in Zürich. The sludge will be dried, burned and used as biofuel for the production of renewable heat and power. At the heart of the delivery is Saxlund’s separating and feeding technology, designed especially for sewage sludge and a major benefit in the efficient, low-maintenance and environmentally beneficial offer of Saxlund. Saxlund has earlier supplied ERZ Entsorgung + Recycling Zürich with Saxlund Solids Pumps and other handling equipment at two other co-combustion waste incineration plants in Zurich, the first of those in the year 2000.